Here I am again celebrating the latest news! 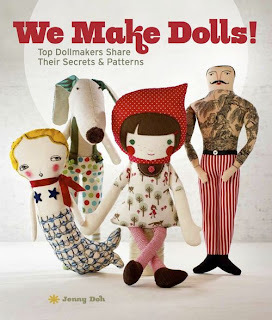 I just received my copy of "We make dolls" by super talented Jenny Doh! And guess what? Not only I'm in the book but on of my dolls in on the cover! Wohooo!! Can you guess which one is? There are also included other 2 of my dolls, they are completely machine stitched, no paint in these ones! Frida should be there! and it's in company of her woodland friend. If you enjoy doll making and want to give it a try at all the different pretty dolls offered on the book or if you're only looking for inspiration or eye candy, you can't miss this book. Thank you Jenny for the invitation to be part of this amazing book. OMG your dolls are amazing! Love their hair! I am wild about your works!!! congrats! i see mimi kirchner is in there too-- can't wait to see the book and find out who else is on the list! love the Fridaaaaaaaaaaaaaaaaaaaaaaaaaaaaaaaaaa!!!!!!! congrats on the book! looks awesome!!!!!!!!!!! I just received my copy in the mail today. What a GREAT book! I am rarely this thrilled with a new craft book. You dolls are fabulous, Danita. I love that all of the patterns are included at full size (really REALLY hate being told to "enlarge by 207%" etc). Your dolls are in great company with all of the fabulous artists. 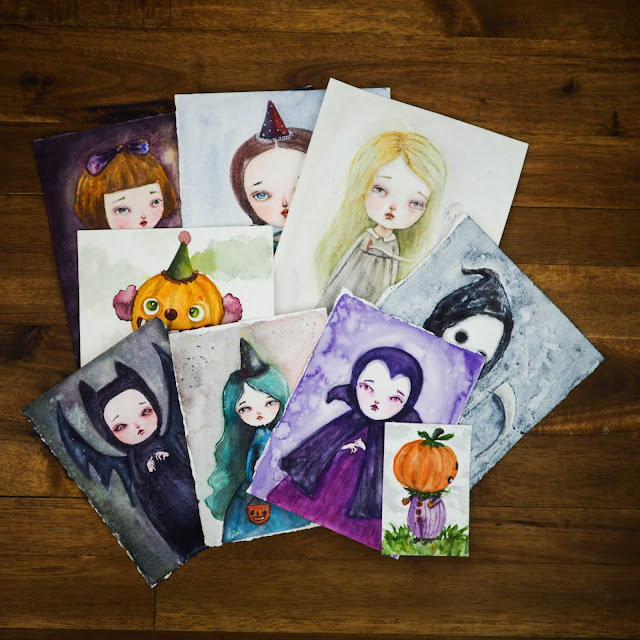 Memorial Weekend Sale: 20% OFF On My Etsy Shop. Grab a Mixed Media from the Heart Workshop badge! I won my Lalaland Badge! Can you guess what's coming to Danita Art?